The Barberry 'Golden Rocket', Berberis thunbergii 'Golden Rocket', is a narrow, upright growing, deciduous shrub with showy, bright yellow foliage. 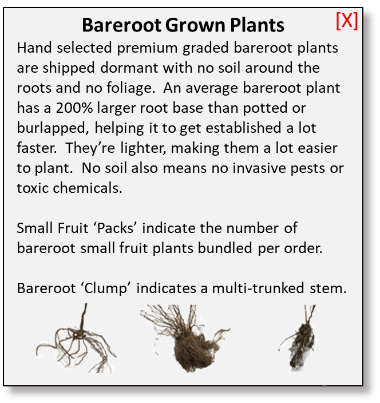 It is good for growing in zones 4-9. Pale yellow, insignificant flowers in spring are followed by bright red berries in fall which persist through the winter. The berries attract birds and other wildlife through the fall and winter. Plant has spines or sharp edges so use caution when handling. Since 'Golden Rocket' has a naturally upright growth habit, it can be also be used as a hedging plant. The stems can be thinned out in late winter so the plant maintains a tidy form or left to grow. Use this plant in containers, planters, shrub borders, focal point, in small groups, and as a specimen. It is insect, disease, and deer resistant. If you are looking for a low maintenance, hardy plant, you can hardly do better than the Golden Rocket!